Grab a button HERE for your sidebar! 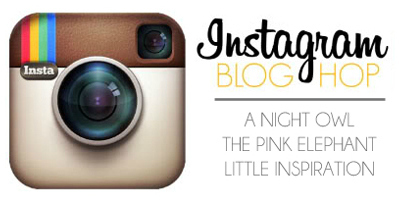 Just link up your new Instagram Web Profile (http://instagram.com/username) in the linky below! Note: this URL will not let you choose a profile pic from your feed, so be sure you have a picture you can upload from your computer if you use it! If you get a "Error: The requested URL returned error: 500" error that just means it can't find a picture to use NOT that your link is bad. Just click on "Direct Image URL" if you have one or "Upload from Computer". Now, link up! Remember to link up your INSTAGRAM account, not your blog. Did you see that PostalPix is now on Android? Now you can order prints of your favorite Instagrams right from the convenience of your iPhone or Android! And in celebration, you can take 20% OFF your PostalPix order from now through Thursday 11/22 at 11:59PM PST using code anightowlpix! Enjoy!